The edelweiss 341 is the student line graphite pencil from Caran d’Ache. Probably many of us would associate a scheme like this only with higher end products. 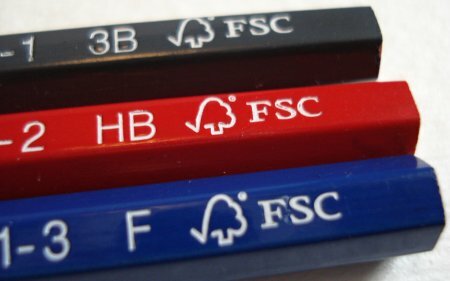 The pencils additionally bear the FSC (Forest Stewardship Council) logo. They are hexagonal, with an unfinished cap – the only arguable compromise. The pencil isn’t in the same quality league as the top offerings from Caran d’Ache, such as the Technograph 777. 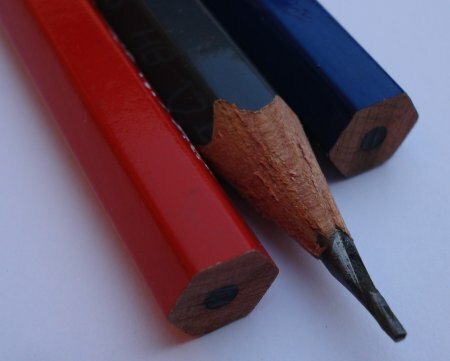 Also, the grading seems to differ by a two degrees or so from many other pencils – the HB seems like a 2H to me, while the 3B – well, it’s more my style. The 341 is a good pencil, and very good relative to many student pencils. Those liking a soft dark lead are advised to try the 3B.